Home » Blog » Empower Sales Conversations » 3 Ways Leading B2B Companies Prepare Sales Reps to WIN First Customer Meetings! 3 Ways Leading B2B Companies Prepare Sales Reps to WIN First Customer Meetings! Reps don’t know HOW or have TIME to find relevant content – A Qvidian survey shows, “83% of salespeople report that they have a hard time finding the content they need…. they usually abandon their search and use outdated content instead.” CSO Insights found “59% of a sales person’s time is NOT spent selling as they are burdened with other activities including hunting for the right sales content.” Rather than search for content knowing it will take hours, reps will choose the standard Corporate Overview or Product Features PowerPoint presentations for first meetings and assume there will be a second meeting. 2. Storing Value Propositions in a secure, encrypted cloud-based repository for approved users to access worldwide on a 7x24x365 basis. User access is based on specific roles to allow Value Propositions to be shared by any number of users or groups based on permissions. Sales adoption is simple and straight-forward as Value Propositions are found and downloaded by checking topics by title, industry, product, country etc. Typical time for a rep finding a relevant Value Proposition is under 2 minutes. 3. Enabling Sales, Marketing or Sales Enablement professionals to update, add or edit Value Proposition content, messaging, displayed tables, graphical output and more to keep current and consistent for all users simultaneously. Eliminates frustrated reps from using outdated content or spending valuable time that can be used for more important call prep purposes. The B2B buyers process has changed, so B2B sellers must equip their sales reps with digital, easy to adopt, SMART sales presentation tools to win the first sales meeting that drive more qualified sales opportunities. Based on the Forrester study, customers expect reps to present early relevant content that connects economic value to their business. Digital transformation of your sales presentations should start slowly with a core group of reps and expand after achieving early successful results – usually within 30 days. 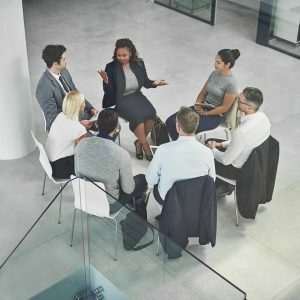 Digital Value Propositions create more time for reps to spend communicating the value your solution delivers to customers and closing deals. Let your competition keep giving one-hour PowerPoint presentations that make the customers yawn. Value Propositions for B2B Sales Team Effectiveness: When, How and Why Do Buyers Commit?